We are a group of people from all over Highlands of Scotland and beyond who enjoy weaving, spinning or dyeing (often all three!). We are always happy to encourage new members and beginners are welcome – no need to feel you might not be good enough; we all enjoy passing on our skills and learning from each other. The info page has information about our committee and other things you may be interested in if you are a member or thinking of joining. The membership form is available here as (Word) or (pdf). You will also need to look at our Data Protection Policy Privacy Statement. We hold monthly workshops from September to June covering our core crafts, and other related topics such as design, knitting, basket making etc. 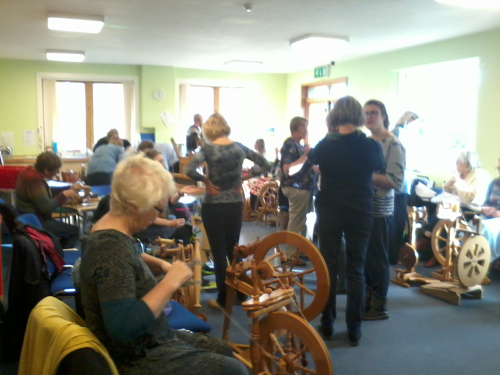 Our workshops are generally held on the second Saturday of the month but occasionally over a whole weekend. They are usually held at the Community Centre in Strathpeffer, Ross-shire, IV14 9AG. 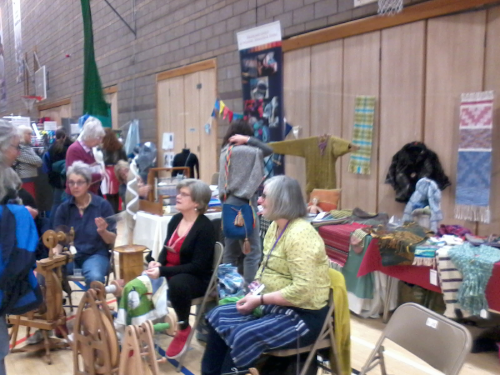 They provide a great opportunity to meet up with like minded people and learn a diverse range of skills from spinning different types of fibres, through various types of weaving to basket making, felt making, the use of natural and synthetic dyes, and many others. Full details of forthcoming workshops and booking forms are circulated via news letter as well as here on our web page, and as workshop places are often limited you are encouraged to book early. Workshops generally run from 10am to 3.30/4.00pm. Cost: currently £20 per day for members, £35 for non members, though these prices may vary due to the content of the workshop. In the summer months small groups of members demonstrate their skills at some of the agricultural shows and craft fairs. 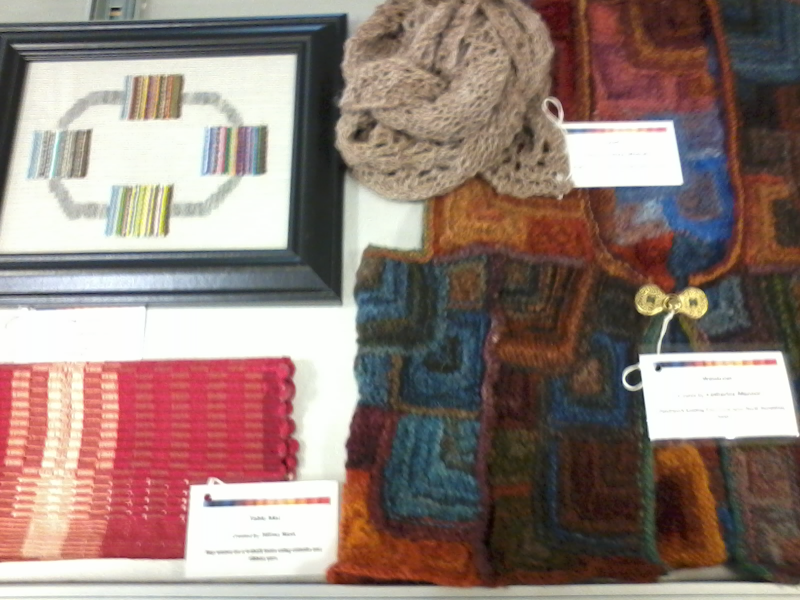 Members also take part in local craft events throughout the year. We hope to keep you informed of what is planned and would welcome any other information on Events the guild might be interested in. Every few years we hold an Exhibition to display our diverse work. Our 2013 exhibition was in Portree Library from 14 September to 2 November. Our 2010 exhibition toured Highland with weekend sessions at Nairn Community Centre, Castlehill Heritage Centre, Caithness, and the Aros Centre, Portree. In 2005 our exhibition was in the Inverness Museum in October/November.